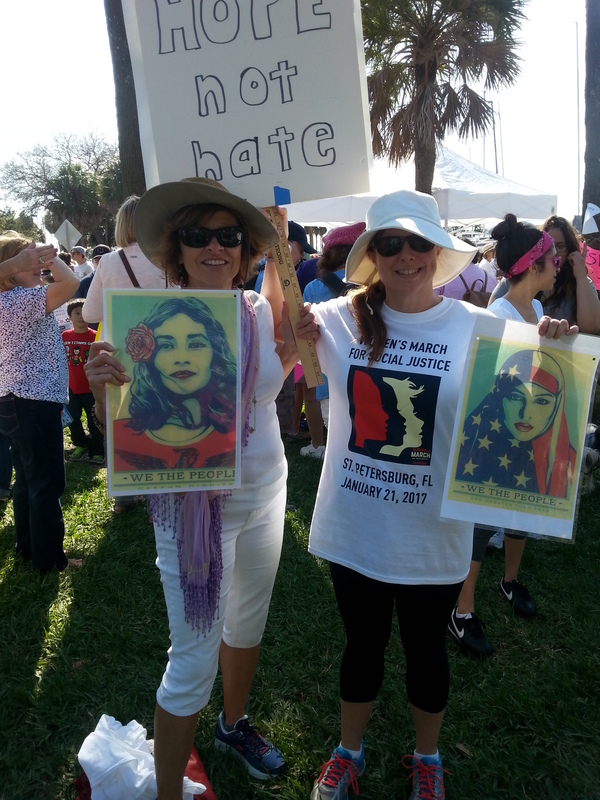 However, the world-wide marches on Saturday, January 21st unleashed a swell of positive emotions that I have been needing to experience during these dark days. Each was born of grass-roots ideas that gave way to events of unexpected proportions. 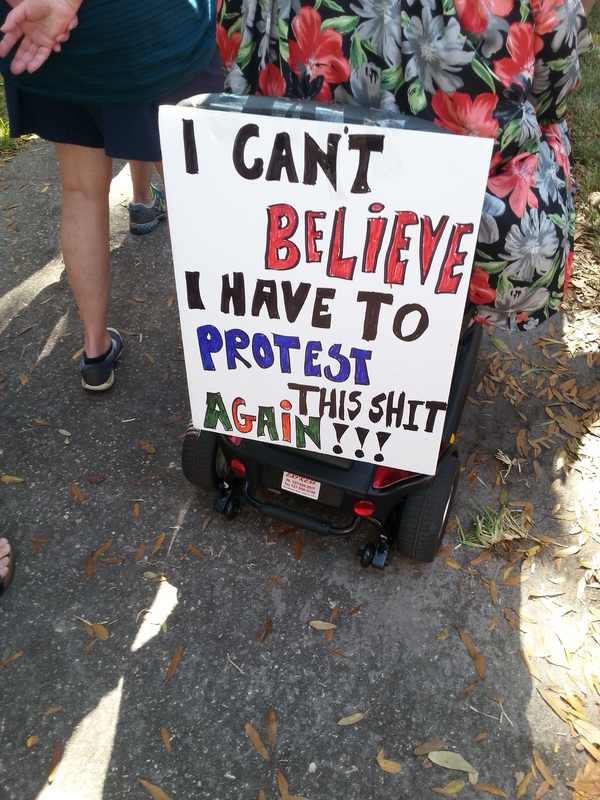 Here in St. Petersburg, we had the largest march in the city’s history. My participation gave me renewed hope. Still, there is an enormous amount of work to be done. Just seconds ago, the president gave the go ahead to the Dakota Access Pipeline. And here’s the thing: every time those of us whose class and gender and ethnicity and orientation achieve something close to full access to our rights as citizens, they are eventually dismantled. We are in precarious times. The deck is stacked against all of us. Our work has been rebooted and reignited. Last week I turned to the words of Reverend Martin Luther King for inspiration and motivation. DemocracyNow broadcasted the speech he gave at City Temple in London in December of 1964, just before he was to accept the Nobel Peace Prize.